Looks like Artwizz loved Mobee's inductive Magic Charger so much that it decided to create their own version. Well, it almost looks identical actually. 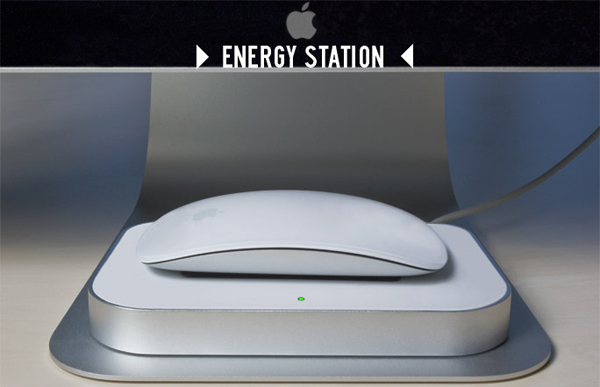 Nevertheless, Artwizz's Induction Charger is an inductive charging platform for the Apple wireless Magic Mouse offering the same features as the Magic Charger with one exception, the Induction Charger is actually made out of aluminum with a white plastic surface. The Induction Charger works by inserting an induction rechargeable battery set into the Magic Mouse that allows you to charge your Magic Mouse wirelessly by placing it on top of the Induction Charger. The Artwizz Induction Charger for the Magic Mouse is available now in Europe for €39.99 ($56).